“Thank you for the most pleasant home buying experience possible! Not only was your assessment of available houses with respect to our style, needs and budget correct, but also you were direct and accurate in your guidance through the process. We could not have managed the offer, inspection, and closing from across the country without your knowledge and the security of your presence. Having the two of you on our side of the table was the first and best decision we made that led down the path to the wonderful home in the perfect location that we now own. We couldn't recommend you both more highly!! If future prospective clients would like a reference, then we are happy to volunteer." Thank you for making our home searching experience so pleasurable and stress-free. You have a wonderful ability to zero-in on what your clients desire in a home, so it is no surprise that the first place you took us to was the one we fell in love with and purchased. We are so happy with our new place. It is beautiful and just where we pictured ourselves living. Also, thank you for dispelling our concerns as quickly as possible and getting back to us with all the facts. I have heard that some people search for homes for up to a year, but I'm confident that if you were their real estate agent they would find a place they love in no time. Thank you for going above and beyond what is required!! 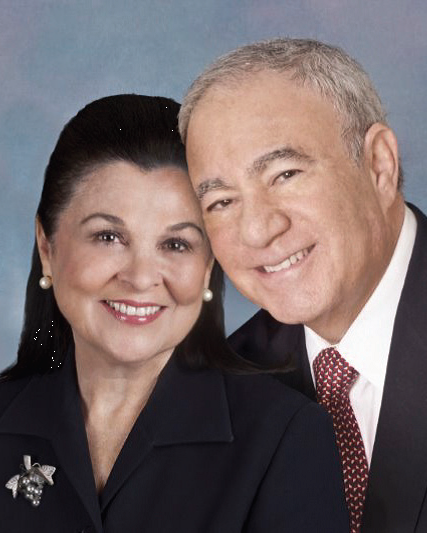 "I recently purchase a private residence with the competent assistance of Gil and Marilyn. As a first time property buyer, I was of course aware there were complexities in such a large financial step. Real Estate transactions are confusing even for the most experience buyer so I was naturally apprehensive being new on the market. Fortunately, Gil and Marilyn sensed my uncertainty and guided me through the precedure skillfully with attentive consideration with regard to my concerns. They are both extremely professional and handled all aspects of the deal smoothly, which made it easy for me. I was gratifying to work with people that I could trust and rely upon support. Their expertise was encouraging and made experience of buying my first home enjoyable. I would gladly seek the Spiegel's assistance again, and highly recommend their capable services to anyone contemplating a Real Estate Transaction." "Our experience working with Gil and Marilyn was amazing. Marilyn really took the time to understand exactly what kind of home my husband & I were looking for and what kind of neighborhood we wanted to move to. She toured our existing home, and understood what I wanted inside and out. Marilyn really helped me find the perfect house. When our first choice in Muholland Park was sold, she told me she would find 'my house', and boy did she!! It was move-in perfect. Perfect wall coverings,paint tones,flooring,patio hardscape, perfect pool,perfect master bedroom, perfect master bath...PERFECT!!! We still talk and I still think of her fondly." "I can't say enough wonderful things about MARILYN SPIEGEL who is with Purdential in Encino. She and her husband had to go way beyond the extra mile while waiting for my client who was driving from South Bay. The wait was way past anything reasonable for a beautiful home on Deervale. It is a delight to refer you to someone who is one of the most professional Real Estate Agents there is and knows the valley completely. Talk to her. I know you will be impressed. I sure was. She's the top of the top producers! Vice President - Bank of America"
"We know you worked so hard on selling our house; it truly was a tough one but you did it! We want you to know how much we appreciate all the work you did.